Here's a not-so-special delivery: The U.S. Postal Service may be insolvent by the end of the month. Hobbled by shrinking revenue and an arcane rule that requires USPS to prefund retiree health benefits where other agencies can pay as they go, the agency is contemplating shedding 3,700 post offices and hundreds of thousands of jobs. There will no doubt be some legislative action to keep USPS afloat -- a couple of reform bills were already in the works in Congress before this announcement. The bottom line, however, remains the same: Prices will likely continue to rise while services may decline, with Saturday delivery likely next on the chopping block. 1. Plan better. Having to spring for overnight delivery costs a bundle. Push back your mailing deadlines and send letters and packages by regular mail. As USPS deliveries may slow down, this could be even more important. 2. Prune your list. How current is the mailing list you're using? Maybe it's time to clean out your list. Send a postcard asking interested customers to respond to stay on the list. Cut the deadwood and lower your mail charges. 3. Compare costs. If USPS prices rise, competing offerings from UPS, FedEx and others may look more and more attractive. But even now -- before any changes kick in -- it might be worthwhile to reach out and see if there are cost or service advantages to switching all of your mail business to a competitor. 4. Switch to email. For letters, try an email marketing program such as AWeber or Mailchimp to deliver that great-looking flier to customers' email inboxes instead of their mailboxes. If you're concerned customers won't like it, mail them and ask for email opt-in. (You'll probably be surprised how many will prefer virtual delivery.) An added bonus: if you didn't have them before, now you've captured current customer email addresses. 5. Try private electronic mail. Some big companies and government agencies are already taking advantage of new services such as Zumbox and Earth Class Mail, which allow you to send full-featured, clickable messages to customers' private electronic mailboxes for retrieval from wherever they are -- not just at home. This keeps your message out of clogged email inboxes. 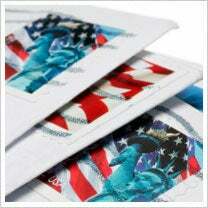 Will cutbacks at USPS affect your business? Leave a comment and let us know.